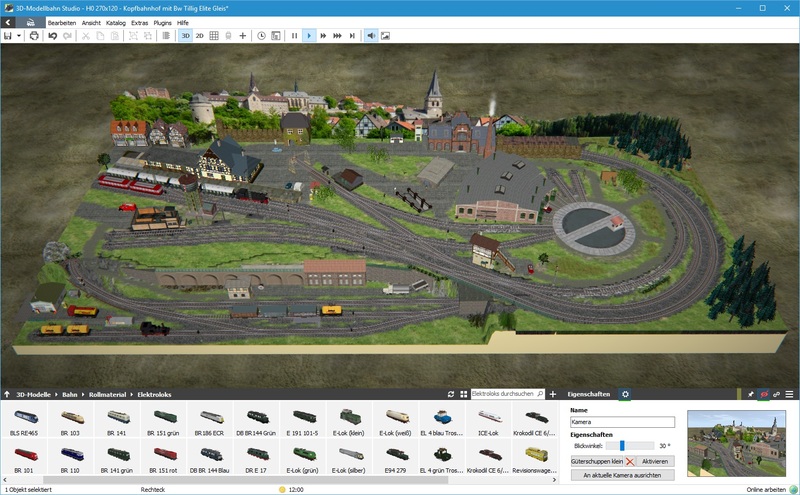 The 3D Train Studio is an easy-to-use application for planning your perfect model railway, right on your own PC. 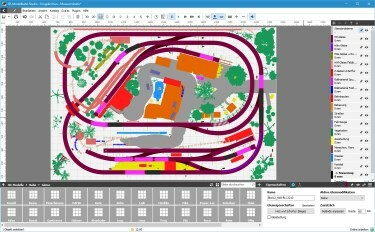 Construct your layouts with thousands of tracks in all popular track widths, detailed and true to scale. Create a landscape of mountains and valleys, place houses and trees along streets and roads and construct your own miniature world - with realistic 3D graphics and in real time. Enter the virtual model railway and simulate complete rail operations, including animated barriers, signals or road vehicles, automatically or by specially defined events. Get into the world of model train simulations, with the free standard version of the 3D Train Studio. Searching for videos about 3D Train Studio? Please visit our official YouTube channel. 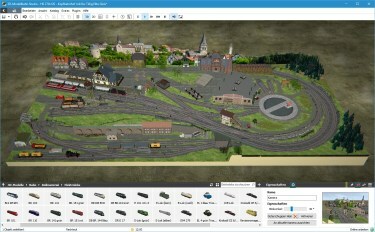 The 3D Train Studio is an easy-to-use windows application for planning and simulation of model railways on your own PC. With a set of numerous tracks and components you can create individual layouts and realize all your ideas, regardless of whether you rebuild your model railway in real or just start playing with your virtual miniature world on your PC. 3D Train Studio offers a free entry into model train planning. 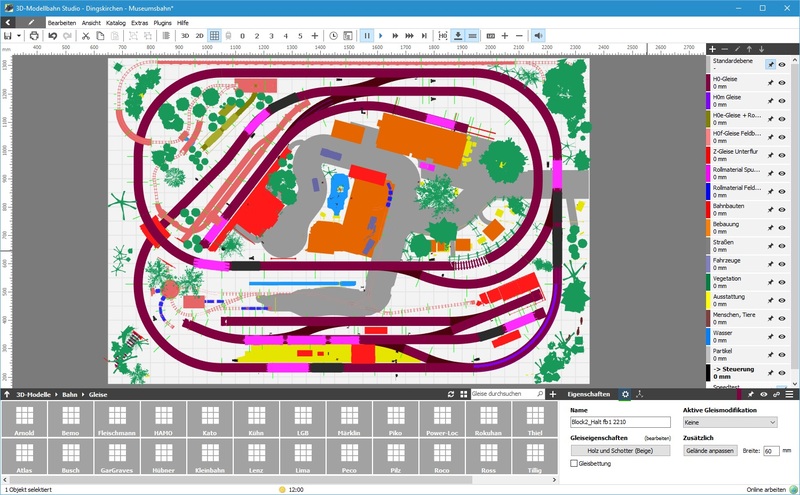 In addition, the professional version also allows the planning and simulation of complex model railway layouts and also includes additional content and features. * Users of an older professional version get the latest version at a reduced price, with a discount of 25%.